Please see below for our staff listing and biographies. Before joining the Authority, Larry was the Director of the Carroll County Department of Economic Development, where he developed strategies for guiding business development, business retention, workforce development and tourism. Prior to this, Larry spent several years with the Maryland Department of Business and Economic Development, where he held several positions including managing the statewide regional office system. Larry’s major accomplishments include launching a regional business retention program while playing a key role in coordinating and facilitating major expansion projects in the Baltimore Region. Larry also spent seven years on the management team of a Fortune Global 500 manufacturing firm and three years as a manager of a small business. From 2013 to 2015, Larry served as the President of Maryland Economic Development Association (MEDA). 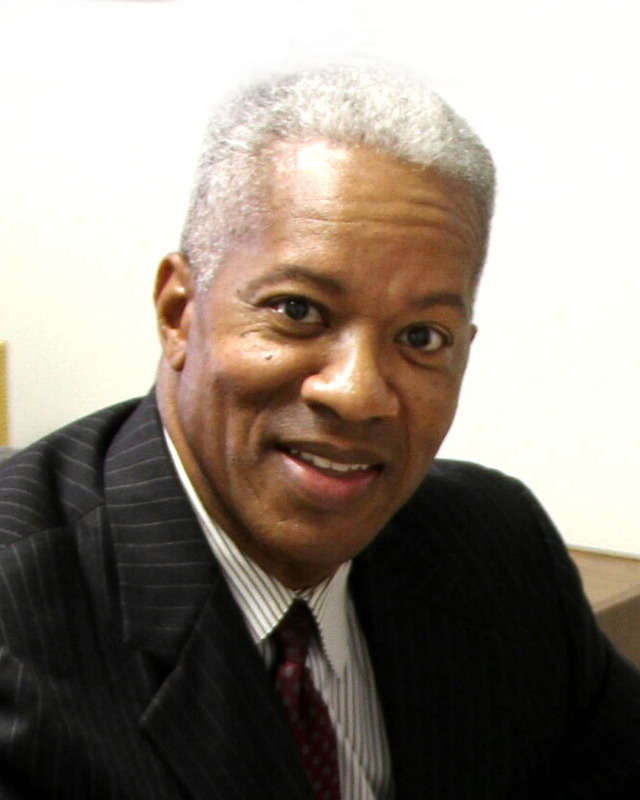 He currently serves as Vice Chair of the MEDA Foundation’s Board of Directors. Vernon Thompson is the Executive Vice President at the Howard County Economic Development Authority. Previously Vernon was the Executive Director of the Cecil County Department of Economic Development, Tourism & Agriculture; Executive Director at Bainbridge Development Corporation; Deputy Secretary of the Department at The Maryland Department of Business and Economic Development (DBED), as well as Assistance Secretary for Regional Development. Additionally, Vernon has served in various capacities in the real estate, marketing, and construction industries throughout his career. 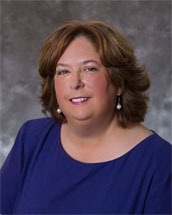 Marilyn joined the HCEDA in 2011 and serves as Chief Operating Officer. Marilyn is a top-tier executive with oversight of administrative operations, human resources, talent acquisition, as well as payroll and benefits administration. With over 30 years of experience, Marilyn brings unique knowledge, skills and abilities to the organization which promotes cohesion of the EDA team. She is also a SHRM Certified Professional. Wayne R Young joined the HCEDA in August of 2016 as Controller with extensive experience in financial reporting, financial statement preparation, accounting, bookkeeping, budgeting, planning & analysis and business operations. Wayne has assisted in the management coaching and evaluation of staff, as well as assisting in project management, business expansion, operating efficiencies and managing to best business practices. Wayne attended Virginia State University where he obtained a bachelor’s degree in Accounting and he is a member of Kappa Alpha Psi Fraternity, Inc.
Rita Anderson is the Administrative Coordinator/”Director of First Impressions”. As the first person you contact at the HCEDA’s entrepreneurship center, she provides a wealth of information on all the programs under the HCEDA, including the Maryland Center for Entrepreneurship, Agriculture departments and those seeking to do business in Howard County, Maryland. Rita was named Advocate/Supporter of the Year for SCORE in 2017 and received a Certificate of Recognition from County Executive Allan Kittleman for Supporting the Howard County Economic Development Authority in 2017. Prior to joining the Economic Development Authority (EDA), Rita accumulated over 25 years of experience providing exceptional administrative support in high paced law firms in Washington D.C. and San Francisco/Oakland California. Rita has a daughter Tiffany and a grandson Sean who lives in Howard County Maryland. Catherine joined the HCEDA in the summer of 2012. Although new at HCEDA she is no stranger to Howard County. Her commitment to Howard County shined when she was Director of Membership at the Howard County Chamber of Commerce for over four years. After spending over a year as Vice President of Corporate & Community Relations for a non-profit in Montgomery County she is happy to be back working and playing in Howard County. Knowing the importance of small business and understanding the community she is eager to be a part of the great adventures HCEDA has to offer. In 2011, she was recognized as One of the Top 40 Under 40. Ali Bliss joined the Howard County Economic Development Authority in September 2015. She comes to the HCEDA with a background in marketing, communications, and event planning. In her position, she manages all HCEDA and HTC events throughout the year and assists with the marketing and communication materials. She is a graduate of Hood College in Frederick, MD with a degree in Communications and a concentration in Public Relations with a minor in Studio Art. Ali is also currently working on obtaining an Event Management Professional Certificate from the George Washington University School of Business. In her free time, Ali enjoys spending time with her family and dog. She is also an Allstar cheerleading coach for Maryland Allstar Athletics in Eldersburg, MD. 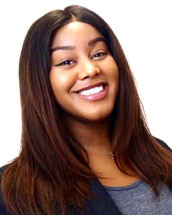 Aphaia joined the Howard County Economic Development Authority as the Business Operations Associate in February 2019. She comes to the HCEDA with a background in community engagement and outreach, volunteer management, and municipal programs and services. In her role at the HCEDA, she provides central analytical and project support to the various departments in the organization including Marketing & Communications and Business Development. Aphaia holds a Bachelor of Arts in Political Science from the University of Vermont. After graduation, she worked in the Community Services Department for a local municipality neighboring Burlington, Vermont. There, she successfully applied for a Placemaking Demonstration Grant to plan and implement the City’s first-ever “Parklet” Project. As the Director of Agricultural Business Development for HCEDA, Kathy is the first point of contact for Howard County farmers wanting to start or grow a farm. Kathy helps farmers navigate through the process by assisting them with the preparation of business plans, zoning or other permitting issues needed to operate in Howard County; she also provides assistance to farms looking to diversify. Growing up on her family’s dairy farm in Dickerson, MD, Kathy brings a unique and personal perspective to the position — one that garners respect from the farmers she assists. Kathy holds a degree in Dairy Science with a minor in Agriculture Business from Delaware Valley College and is a LEAD Maryland Class VIII fellow. 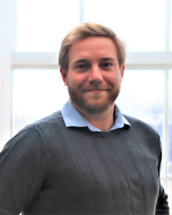 Zach Jones joined the HCEDA in January 2019, where he leads the research and data analysis efforts of the organization. His research focuses on benchmarking Howard County’s industry and labor markets against its peers to identify strengths and opportunities in the county. Additionally, Zach is tasked with the management and analysis of internal HCEDA data to increase the efficacy of the organizations operations and report on outcomes. Prior to his time with HCEDA, Zach was the Director of Market Research at the Economic Alliance of Greater Baltimore (EAGB). There he provided research consulting services for partners like Baltimore Gas and Electric (BGE), Betamore, and numerous economic development organizations within the region. In partnership with the Maryland Department of Commerce, Zach has developed the Maryland Cybersecurity Asset Map, which catalogues the State’s world-class cyber ecosystem. Zach graduated from Towson University, where he spent three years of his undergraduate career conducting economic research with the Regional Economic Studies Institute. After graduating, Zach continued to conduct economic and policy research at Towson University, while concurrently building an extracurricular student entrepreneurship experience at the university. Since March 2002, Jill has been the support behind many departments at the HCEDA. In 2011, she was promoted to Marketing Coordinator where she produced many of the marketing materials to which HCEDA stakeholders have come to rely on and look forward to receiving. She was also in charge of registration at all events and kept them running smoothly. Jill is currently serving as Office Manager for the Maryland Center for Entrepreneurship. In this capacity, Jill is responsible for managing leases, addressing facility issues, overseeing communications for events, Tech Council memberships and supervising the front desk. Before joining the HCEDA, Jill was an Agency Office Administrator for two insurance companies, Account Executive for a financial institution and Branch Secretary for several banks in Boston and the D.C.-metropolitan area. Jill holds a Bachelor of Science degree in Elementary Education From Eastern Nazarene College. Kierra Kimmie is the Business Operations Analyst for HCEDA. She began as an intern in 2011 and has continued to expand her role within the organization over the years. She provides administrative and operational support to the Executive management team and various departments of the EDA. Kierra’s exceptional communication skills, and keen eye for detail make her an important asset to HCEDA’s team. Kierra currently resides in Howard County and is a proud Wilde Lake High School alumna. 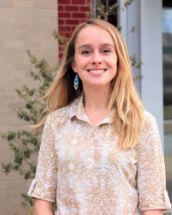 She obtained her Bachelor’s degree from Shenandoah University in Winchester, VA and is currently pursuing her Master’s at McDaniel College in Westminster, MD. Deborah Leake, joined HCEDA in April 2000 and presently works as the organizations Incubator Operations Coordinator at the MCE. In her role, she assists the Director of Innovation Center Client Services and is responsible for updating information in Salesforce, overseeing MCE facility agreements, scheduling facility reservations, creating facility access badges and handling payments from residents and affiliates. She works daily with the MCE’s small business development partners SCORE, PTAC & SBDC greeting their clients and scheduling their appointments. Deborah was named Advocate/Supporter of the year for SCORE in 2017 and received recognition for working with the Project Program for Howard County in 2018. Darshni Joined the HCEDA in May 2016. Since that time, she has held various positions in the organization, but currently is the Financial Program Analyst with the Howard County Economic Development Authority. Her responsibilities include underwriting and processing small business loan opportunities, including new applications, any renewals, modifications, and annual reviews, and providing ongoing risk analysis for assigned portfolio. She is also responsible for monitoring cash flow analysis and preparing a credit memo recommendation in accordance with policy and Standard Operating Procedures. She commonly performs preliminary due diligence and analysis for financial capacity, collateral analysis, loan repayment analysis, and RLF eligibility, including reviewing credit reports, public databases. Darshni holds a bachelor’s degree in Political science with a minor in Sociology from Pennsylvania State University and is currently pursuing her Master’s Degree in Public Administration from Penn State World Campus. Darshni resides in Howard County with her husband, Jaimin and daughter Avira. Ms. Peay graduated from the University of Maryland Baltimore County, where she attained her Bachelors of the Arts Degree in Professional Writing with a minor in Entrepreneurship. 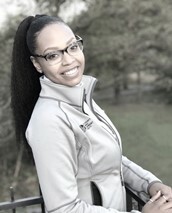 During her time at UMBC, Ms. Peay entered the information technology and healthcare government contracting industry as an intern for the Technical Writing and Human Resource Department at Dynanet Corporation. At Dynanet, Ms. Peay was tasked with product management of proposal drafts, technical writing/editing, and company outreach. Additionally, Ms. Peay was a vivacious writing tutor at the UMBC Writing Center. Here she coached, primarily, bilingual students and students with studies in the STEM related field to help improve their written and oral communication skills, grammar, and project quality. Shortly after graduation, Ms. Peay began working for another IT and Healthcare government contracting company called VersaTech, where she provided program and transition support to contracts under the Department of Defense. Additionally, Ms. Peay successfully lead VersaTech’s Web Development Team, as Social Media Manager, by implementing unique rebranding and marketing strategies in addition to coordination and marketing of company events. In a two-month timespan, Ms. Peay boosted VersaTech’s user engagement over 30% with her ability to produce and post compelling content. Ms. Peay is a true social media enthusiast and enjoys consulting with start-ups in regards to their digital marketing campaign. For the past three years, Ms. Peay has supported several entrepreneurial ventures, both in and outside of Howard County. Here, she has supported our in-house startups with their digital marketing campaign and promotions in addition to facilitating business development programs with what she considers, “The Monumental M’s for a Successful Startup,” which include: Mentorship, Money, and Marketing. Shortly into her role as Program Manager, her talent for graphic design and digital marketing were highly recognized. By the summer of 2018, Ms. Peay was promoted to the HCEDA’s marketing team as their Communications & Marketing Coordinator. Her duties include social media management/marketing, email marketing, graphic designing, press release content, event photography, and supporting event coordination. As an alumni to the Howard County Public School System, Ms. Peay enjoys volunteering for youth professional development programs such as Junior Achievement Rising Women, where she provides professional guidance and mentorship to students pursuing marketing and communications careers. BBrian joined the HCEDA in September 2012 and has held various positions in the organization, but most recently as the Director of Communications and Marketing. Brian oversees the brand management of the the HCEDA, Maryland Center for Entrepreneurship, Howard Tech Council, and the Howard County Innovation Center. He and the rest of the Marketing Department are responsible for the production and promotion of over 100 events a year, including Howard County Business Appreciation Week. He commonly works with CEO’s from the community to tell Howard County’s story and engages regularly with the area’s elected representatives. Brian was nominated by the Ellicott City community after the 2016 flood receiving recognition for acts of excellence from Governor Larry Hogan and then Howard County Executive Allan Kittleman ultimately for the role he played in the response. He is a 2018 Leadership Howard County Essentials graduate and is currently serving on the Ellicott City Partnership’s Board of Advisors. 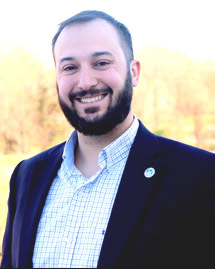 Brian is a Howard County resident and a graduate of Towson University, where he earned a Bachelor of Science Degree in Mass Communications with dual tracks in Advertising and Public Relations. Tracy Turner joined the Maryland Center for Entrepreneurship (MCE) as Director of Programs in 2013. Formerly the Director of the Carroll Technology Council in Westminster, Tracy brought a wide skill-set to the MCE team including program development and management, event coordination, nonprofit administration, community outreach and over 20 years of managing membership organizations. In June of 2015, she was appointed to the position of Executive Director of the Howard Tech Council (HTC). Under her leadership, the HTC continues to build upon the connections, strengths and reach achieved over the past three years and continues to advance and support the region’s technology and business communities. In November 2018, Tracy was additionally named Director of MCE Operations. A graduate of the 2015 inaugural class of the Towson University Professional Leadership Program for Women, Tracy also served on the Howard Community College’s 2017-2018 Commission on the Future STEM Task Force and currently sits on the Howard County Public School’s Applications and Research Laboratory Early College Program/Network Security Advisory Board, the EnRich Minds Foundation, the Arc of Howard County Employment Advisory Committee, the Million Women Mentors State Advisory Board, the Apprenticeship Maryland Advisory Council and the Conscious Capitalism of Central Maryland Advisory Board. Tracy is a graduate of the University of North Carolina – Chapel Hill and the Université de Montpellier, France, with degrees in Mass Communications and Languages. She lives in Columbia. Maria Angelica Vargas comes to HCEDA with extensive international business experience having uniquely worked in all three sectors at a leadership level– corporate, government, and civil society. She has worked at C-level as CFO of a government Ministry; Owner/Principal in business and as a Director in a major philanthropic foundation. She has successfully assisted companies to identify, negotiate and build long term international partnerships. She has also advised companies on their financial, marketing, and human capital development strategies. She has supported companies in improving their operational standards to obtain international certifications and secured US, EU and other international best practices accreditations in USA, India and Latin America. Maria Angelica has served for the last seven years, as the Director for Economic Development of The Nabha Foundation a leading Indian philanthropic foundation founded by a global business family. She successfully launched commercially viable sustainable and scalable models for the economic development of the region. 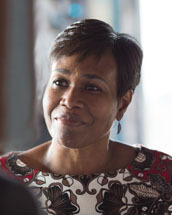 Previously, she has worked for the Maryland Department of Commerce, Office of International Investment and Trade, with direct responsibilities to develop and implement policies and programs to increase commercial opportunities in the Latin America region, and supporting the teams in China, India, Japan, Taiwan and South Africa. In her native Paraguay, she has served as Chief Financial Officer in the National Secretariat of Tourism of Paraguay, and worked as Director for Import and Exports in three of the largest Paraguayan import/export corporations conducting business on five continents. Maria Angelica has been a regular participant at the World Economic Forum in Davos for Global Fortune 500 companies, and their meetings in New Delhi and Casablanca. Maria Angelica has a Master’s of Public Administration Degree. Beth A. Woodring joined HCEDA in 2014 as Fund Manager for the Catalyst revolving loan funds and brings a strong background in business counseling, economic development and credit underwriting to her role. Since joining HCEDA Beth is often the point of contact for aspiring small business owners and entrepreneurs seeking guidance on starting and financing a business. Beth works with the firms within the Maryland Center for Entrepreneurship (MCE) and manages Entrepreneur in Residence mentoring program. Prior to joining the EDA she spent 8 years working in Carroll and Frederick Counties as a small business counselor with the Maryland Small Business and Technology Development Center (SBTDC). Beth also worked for 8 years in the Division of Financing for the Maryland Department of Business and Economic Development (MD DBED) and served as an advisor to Frederick County on the county’s small business revolving loan fund. A former banker, she completed her formal commercial credit training at Mellon Bank.